Discussion in 'Baja Bytes By Gary Graham' started by Baja Bytes, Jan 14, 2019.
from the Northern Baja border to Abreojos! 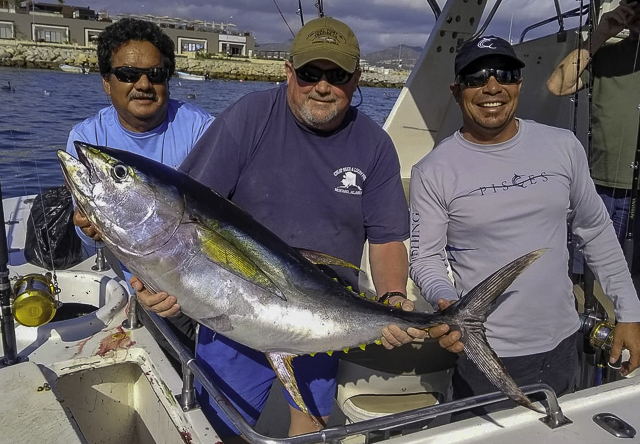 And Baja’s tip continues to offer spectacular billfishing, spiced with yellowfin tuna and a sprinkling of wahoo for the early birds. A big swell and choppy seas this morning. Not likely to get any better either for a while. There is a Small Craft Advisory going up this evening for all day tomorrow. 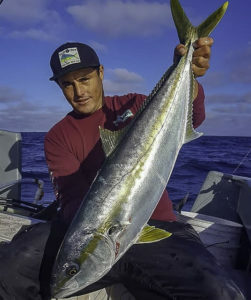 Over the past couple of weeks there has been little attention given to the Islands, and then most of the time the fishing was slow except for a few yellowtail in the deep water off the N and NE corner of North Island. There were also a small number of mixed-grade bonito found scattered all over the Island chain. 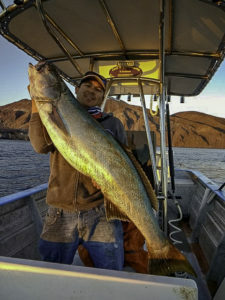 We caught yellows around 150 feet deep in over 200 feet of water on dropper loop sardine and the yoyo iron. Try this trick: Use a 1-3oz. slider-rig and use a swivel to stop it from sliding down to the hook. Now this is what is different. On calm to very light wind days, try drifting using about 10- to 20- or even 30-feet of fluorocarbon for a leader — the longer the better. Lower this down SLOWLY so it doesn’t tangle up. Stop it at 50 feet for a bit, then drop slowly to 100 — and again to 150 if it is that deep where you are. Of course, if you see fish on the meter, try and work that depth. The super long leader makes the bait (live sardine, mackerel or squid) appear more lifelike and works well. This is something you can only do from a private boat! DO NOT attempt this from a crowded sport boat! For those after rockfish, the bite is pretty good. The Lower 9 and the Upper Finger Bank are both working well. Still lots of red crab around in 350-feet or less. While headed down to Coronado Canyon then 226/302 looking for the elusive bluefin, tons of bird life spread from about five miles off Point Loma to midway between the Islands and the 302. The fish were boiling a good 1500-feet away — looked like dolphin, but they sunk out by the time I got within 1000-feet and never came back up, but they looked like the right kind. We continued west toward the 226 and found two dry paddies — then a 3rd much larger. The 3rd was full of YT, 4- to 7-pounds, and we pulled 6 off it; we lost a couple and that seemed to spook the school. 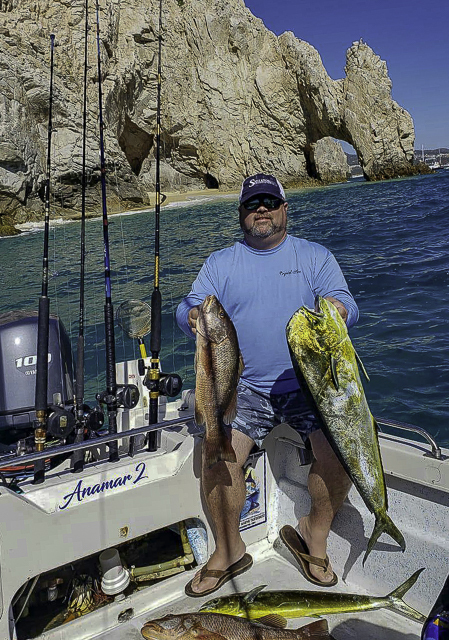 Boats returning from this area today have a decent number of 18- to 25-pound yellowtail and near-to-full limits of quality rockfish. One of those that returned this morning was the Vagabond. 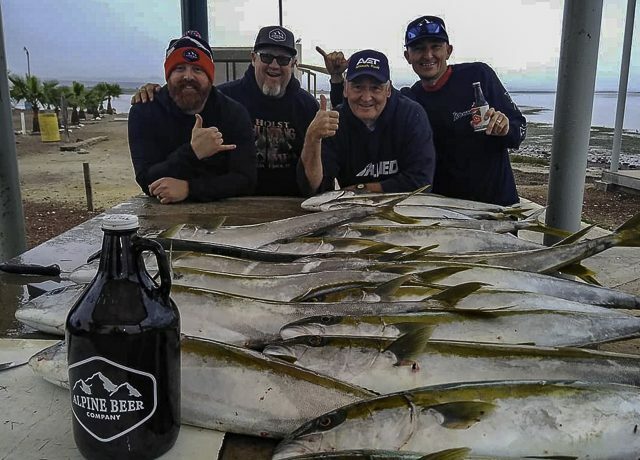 They scored 41 yellowtail, 4 big bonito and limits of quality reds. The yellows are coming from two areas. 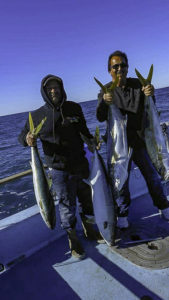 There has been great yellowtail fishing lately out on the highspots and reefs. Last couple of weeks have been full-speed even during heavy swell. Fish are chewing yoyo iron, flat falls, etc. There were no huge ones but plenty of solid 15- to 20-pounders. Went to The Chivato House for the homeowners annual New Year’s Fiesta. Only got one day of fishing in because the wind was bad; however, I got some yellows on iron. Snowbirds and a lot more of the resident fishing boats on the water this past week all looking for the big yellowtail bite. The big bite hasn’t materialized yet. It probably won’t get rolling until the water gets colder. 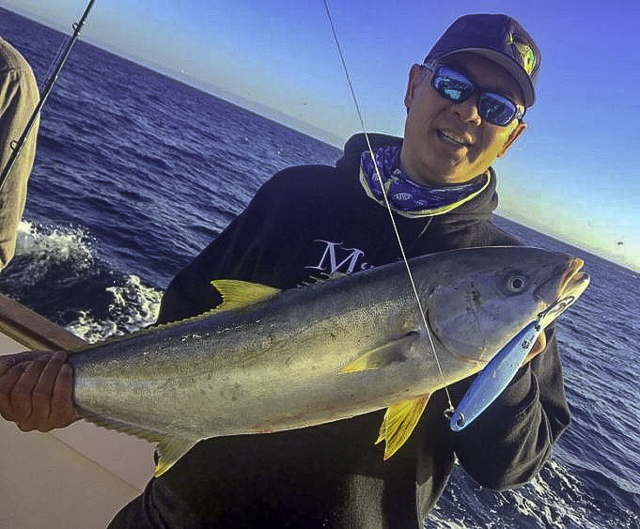 Medium-sized yellowtail, along with keeper-sized cabrilla are still working the sardina schools in shallow water. 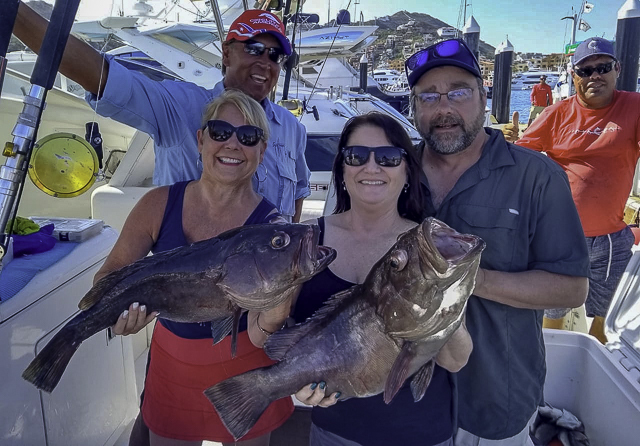 In the “few caught” part of this week’s fish count are sierra and the jack-family’s rooster and toro cousins. 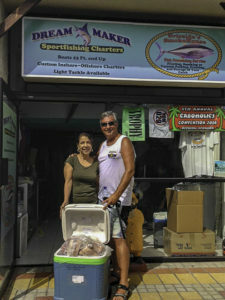 Snapper, triggerfish and small pargo are being caught on chunk bait at La Cholla and Tinturara on Carmen’s north side. The highlight has been the wide-open wahoo action encountered off Punta Gorda. Of course, with so many people in the area, the word gets out in a hurry and no secret bite can be sustained — everyone and their brother was out trying to get in on this action. Water has also turned a bit greenish and between that and all the pressure, the bite tapered off. The best bet for the wahoo is on slow-trolled live chihuil. This was a new group of wahoo, which appeared to be a spawning run, and many of these fish were in the 40- to 50-pound range, some over 50 pounds. 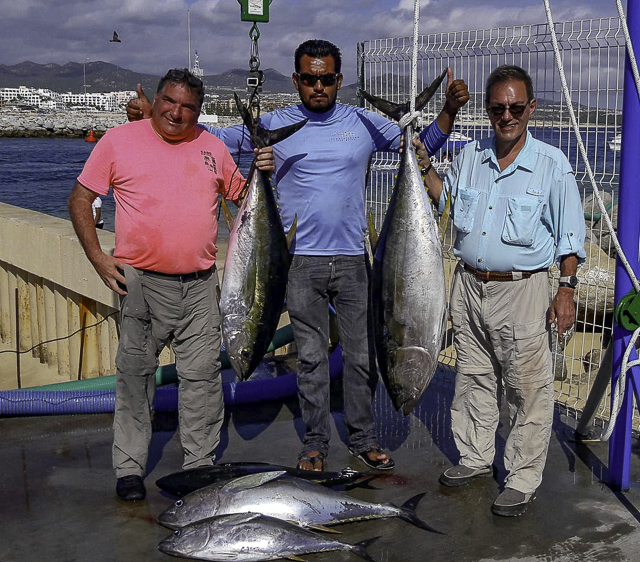 Many charters were landing two to four or more wahoo, losing at least as many other strikes. 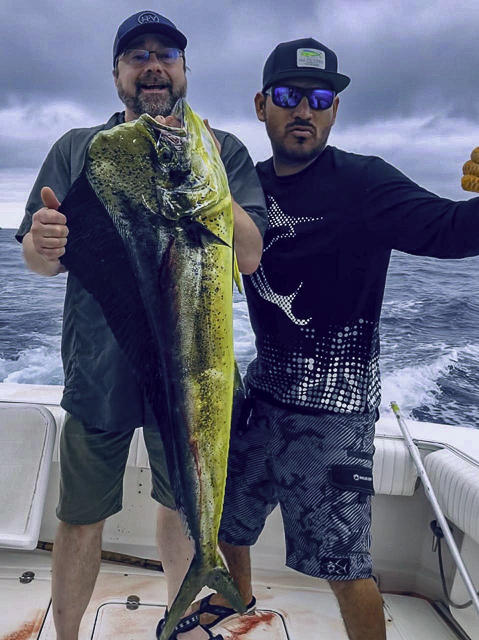 Dorado were found on these same inshore grounds, but were not as numerous as the wahoo, though once found, there was a higher percentage landed; the dorado weighed in the 10- to 20-pound class. 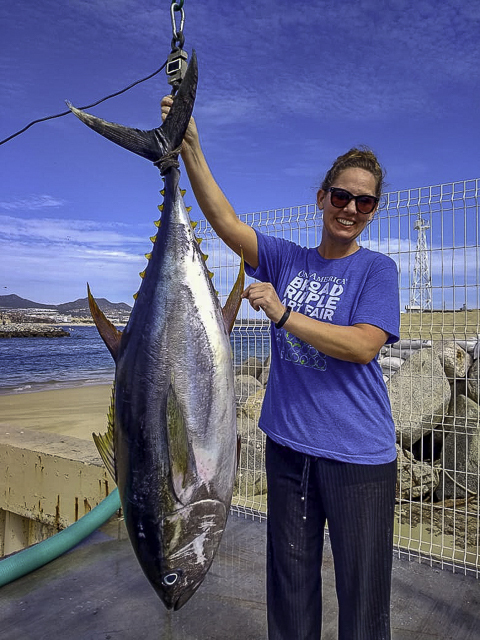 The yellowfin tuna action has dropped way off with the only action reported by the local commercial pangeros fishing late in the afternoon on the Gordo Banks; they have had yellowfin in the 60- to 90-pound range practically every day, no huge numbers, but enough to keep them working. 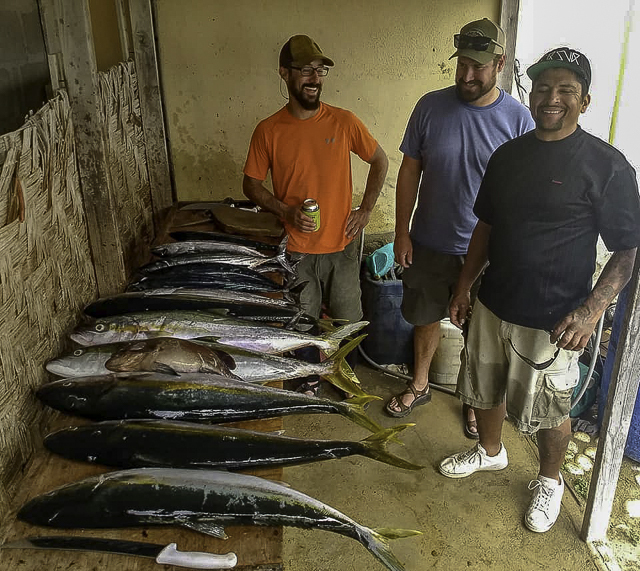 The action was on various bait — chihuil, chunk of caballito, skipjack or squid. Numbers at a glance: Billfish 63%, tuna 29%, dorado 6%, other species 12%. 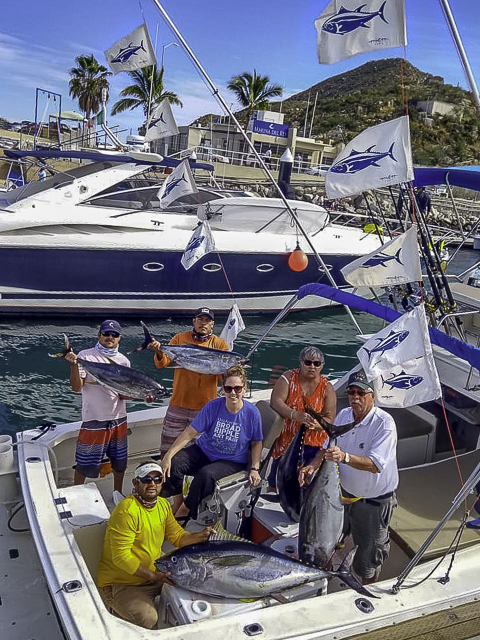 Fishermen have enjoyed very productive fishing since the New Year in Cabo San Lucas — successful fishing, no matter what species was targeted, but with higher and more consistent numbers of marlin than any other species. 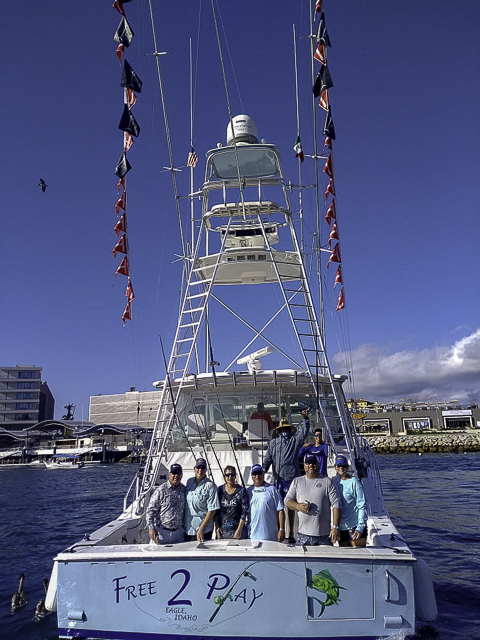 The crews are finding striped marlin close to Land’s End, and the fishing continues to be excellent overall on the Pacific side from the Finger Bank (which we thought was starting to slow) now picking back up as weather has warmed slightly again. Yellowfin tuna are still found in decent sizes, ranging from 30 to 100 pounds for those willing to travel about 30 miles out to find them. 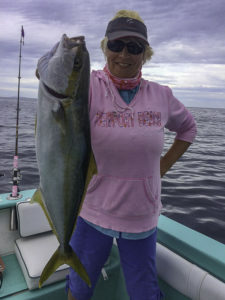 Inshore fishing has continued to produce nice catches of smaller dorado and schools of skipjack with the sierra showing in increasing numbers from Solmar to El Arco. 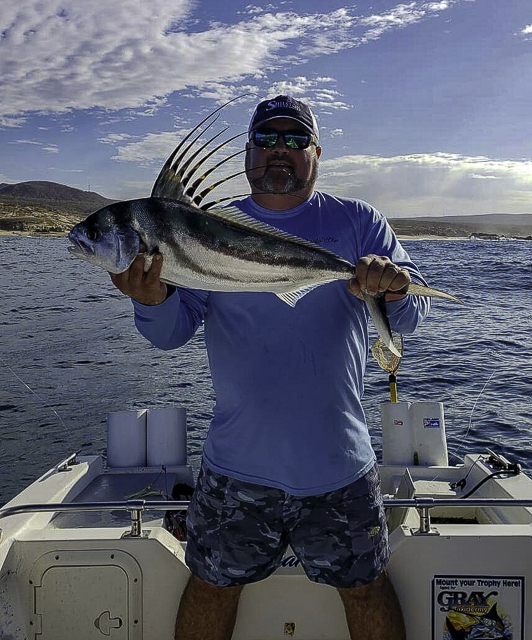 Roosterfish are occasionally showing in the surf from Solmar around the point to the Lighthouse and in the Palmilla area. Cabo Climate: The forecast is for mostly sunny to partly cloudy skies with very little chance of rain through the end of January. Winds are expected in the gentle 6- to 9-mph range through the end of the month mostly out of the WNW. Sea Conditions: Forecast is for more of the same with winds in the 6- to 8-mph range from the WNW. Sea temps are cooling, running from 70 to 74 (Pacific side) cooling into the 71- to 74-range on the inside around the Gordo Banks. 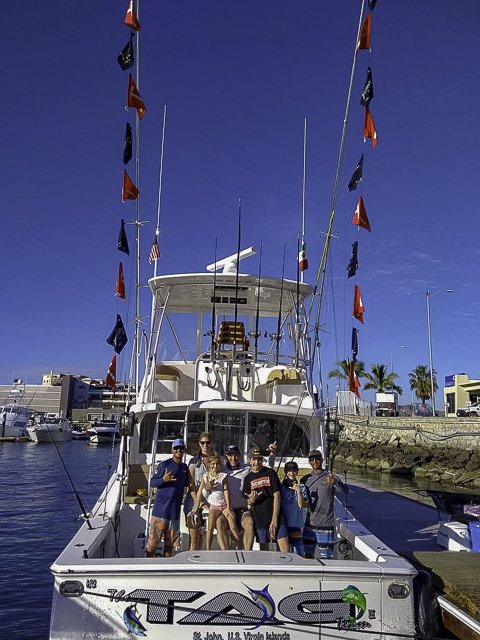 Best Fishing Areas: Good counts of striped marlin are showing up around Cabo Falso and the Lighthouse. Most of the fish are being found one to four miles out from shore. The yellowfin are being spotted 30- to 35-miles out to the SW of the San Jamie Bank near the 180 Spot. 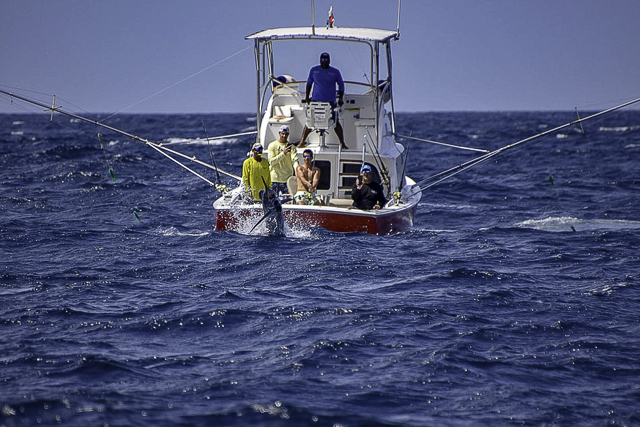 For those willing to make the longer 50-mile run, the Finger Bank has continued producing double-digit striped marlin counts with a few boats reporting over 20 fish per day. Sometimes snipe, sometimes snook! 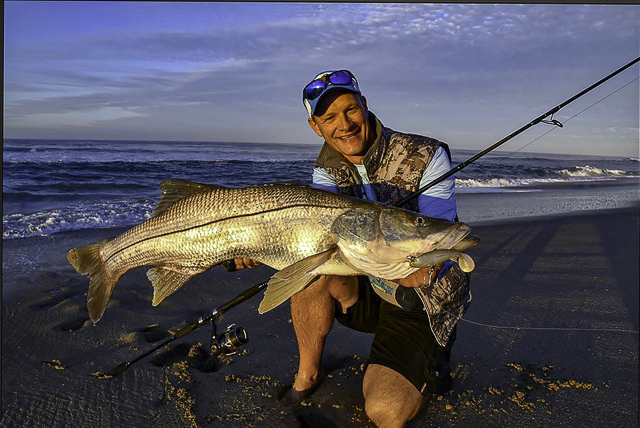 Another nice snook caught on a Stephen Jansen’s custom “Killer Mullet” from shore! Epic trip to the buffer zone: Marla IV with Capt. Scott Osuna officially landed the first super cow of 2019 season!! Applause to the Osuna brothers. Thanks everyone for the birthday wishes! 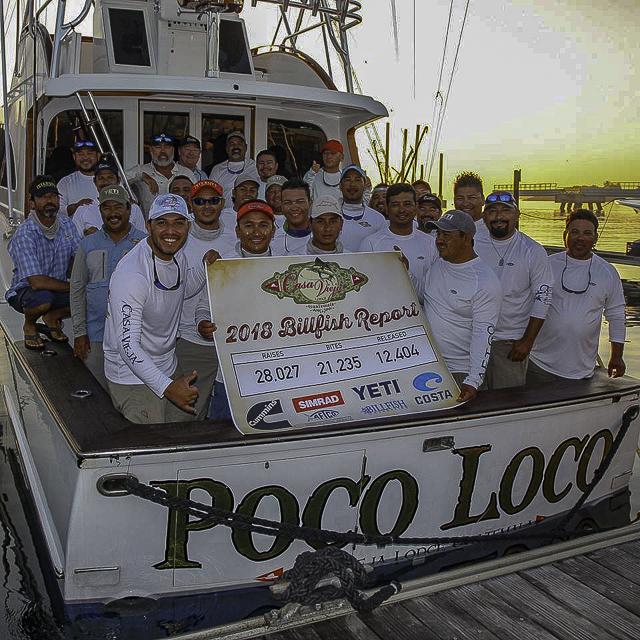 Once we tallied the numbers for the year and saw what another year of hard-work, awesome clients, amazing staff, expert crews we have, I realized how blessed we are to have a great extended family at Casa Vieja Lodge and around the world! Thank you! All the best in 2019! 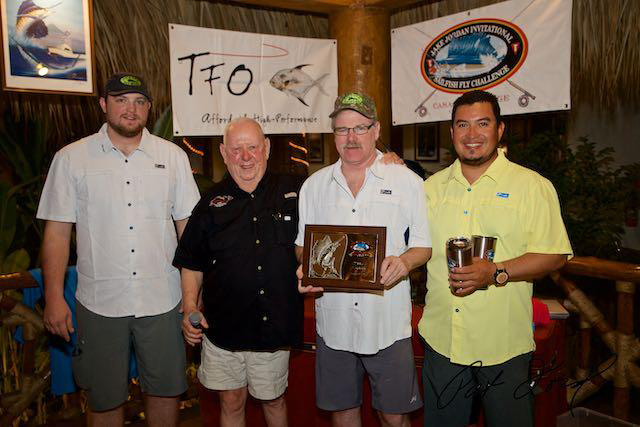 The 2019, Tenth Annual “Jake Jordan Invitational Sailfish Fly Challenge” held at the world class, Casa Vieja Lodge in Guatemala is over; it was another fun and challenging event. 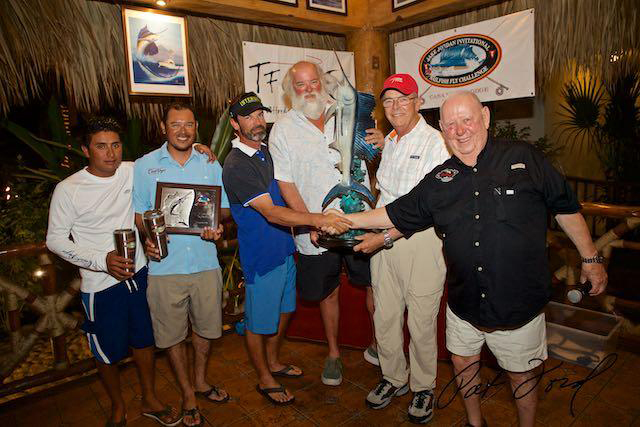 over the second-place team “Decisive” with anglers Cam Sigler and Wes Restomily also scoring 1200 points. 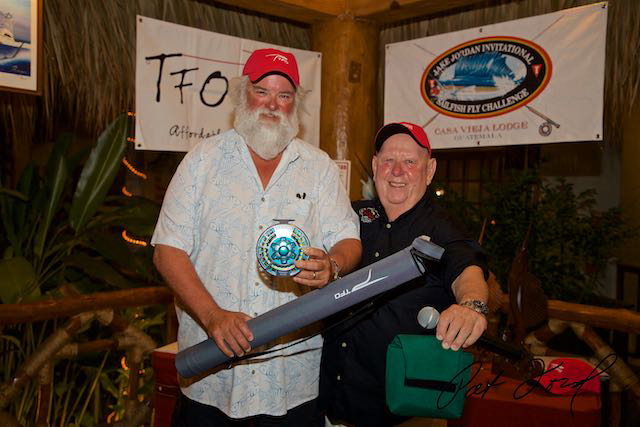 The third-place team was “Rum Line” with anglers Don Butler and me scoring 1050 points. 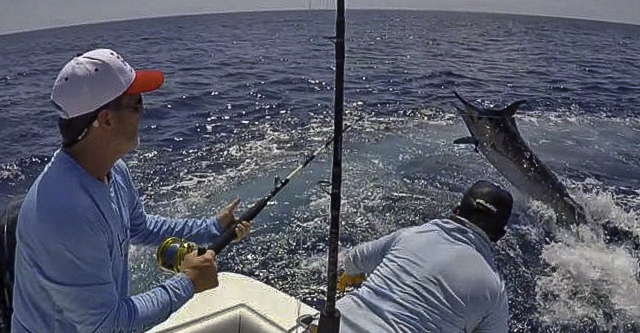 Every angler caught and released several Pacific Sailfish on fly, with the fly removed from the fish without breaking the 20-pound I.G.F.A. class tippet on over 90 percent of the fish caught and released. As usual, the food, lodging, service, boats, and crews at our top sponsor “CASA VIEJA LODGE” was world class and the pig roast at the banquet was unbelievable! 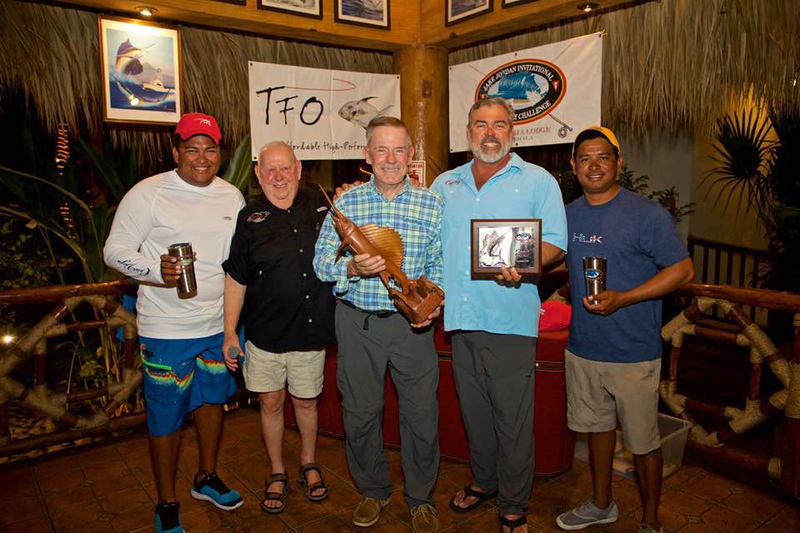 I want to thank our Captains, and especially our Mates, for putting out that extra effort to make this the most successful and longest-running fly fishing Billfish tournament ever! Next year’s eleventh annual event is at CASA VIEJA LODGE on January 6, 7, 8, 9, 2020. 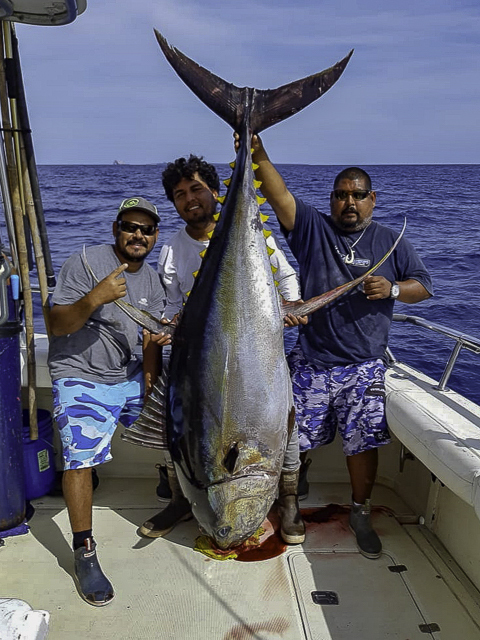 The Offshore bite has been phenomenal with FIVE Grand Slams so far this season. Most consisted of Boat Slams and one personal Grand Slam. An offshore slam at Tropic Star Lodge normally involves a Black Marlin, Blue Marlin and Pacific Sailfish, all released in a single day. We have started to see more and more black marlin showing up and even a few larger females of over 600 pounds. 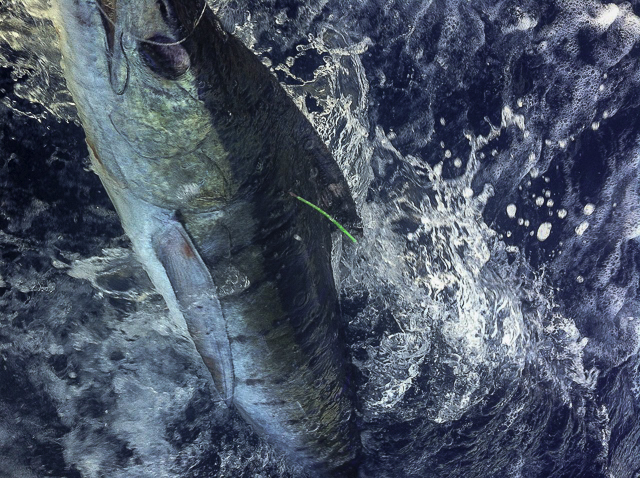 The blue marlin bite has been on fire with boats often experiencing three to five shots a day in-between the hordes of dorado. The sailfish bite has been up and down with boats generally getting a few shots each day. We have seen the odd yellowfin tuna coming into the spread and hitting the marlin baits, which is always great for the kitchen. The average yellowfin this time of year is around the 100-pound mark, but they are not easy to target. Another huge snook, now that's surf fishin! (or big Roosters) Great report as always! Storm #2 now pounding us here in the OC, more to come. Damn winter.